A new redesign of Mann Library’s geospatial information website makes it easier to find and use a broad variety of map data. The Cornell University Geospatial Information Repository, known as CUGIR, has helped researchers, analysts, policymakers and citizen scientists across New York state and the world for more than two decades. The website includes a powerful new search tool, making it easier for users to find and download a wide variety of geospatial data, including data on topography, soils, agriculture and environment. Nonexperts can more easily explore data without needing to download large files. The site, long an important resource for agencies and researchers in New York, is also now expanding to accept geospatial data gathered by Cornell researchers working anywhere in the world. Keith Jenkins, the GIS librarian at Mann, will demonstrate CUGIR’s new features on April 19 at 4 p.m. in Mann Library’s Stone Classroom. The event is free and open to the public, and refreshments will be served. 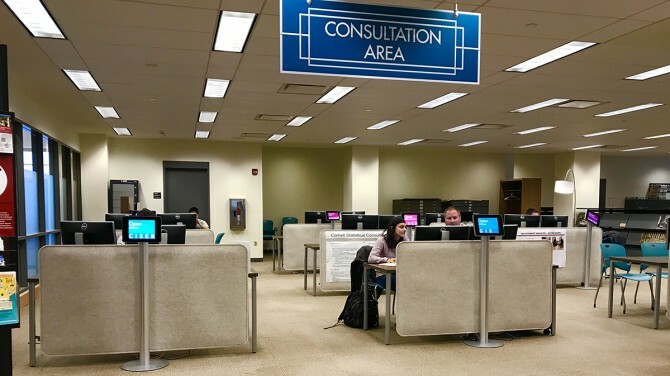 Students and faculty with any GIS questions can also book a consultation or stop by the GIS Help Desk during walk-in hours. CUGIR is one of Mann’s most heavily used online resources, with more than 1,700 downloads a week. It provides a convenient, easily accessible place for Cornell researchers to safely store and freely share their data with the rest of the world. It also provides a wide variety of customizable information – from agricultural markets to watershed regions – helpful to students, scientists, property owners and policymakers.